THE IRISH PUBLIC has submitted thousands of complaints to the Oireachtas over the conduct of TDs in the Dáil, the Ceann Comhairle has said. Speaking on RTÉ Radio 1 this morning, Seán Barrett said the Oireachtas communications unit had received over 5,000 complaints this year from members of the public frustrated at proceedings in the Dáil chamber. “When people take the trouble to phone my office, or to write in or email in or phone in, it means it’s having an effect – and therefore it’s time that we did, you know, cop ourselves on,” Barrett told the John Murray Show. While the Ceann Comhairle said that this number included general queries and comments from the public, an Oireachtas spokesman this morning said complaints featured “prominently” in public contact. The spokesman said the Oireachtas had logged around 5,800 comments from the public between January and the end of October, including regular complaints about the Dáil dress code, interruptions and heckling, and the attendance in the House. The spokesman said the office also regularly dealt with routine queries, however, such as the identity of local TDs. It also and also received regular complaints about government policy, the spokesman said, as Leinster House acted as a “magnet” for such criticism. Referring to the dress code of the Dáil chamber, Barrett said he had presented proposals requiring that male TDs wear a “shirt with a collar and a jacket, and that no denims would be allowed”. While these proposals had been approved by the Dáil committee on procedures and privileges, the Dáil itself had not yet adopted those recommendations. He added, though, that the dress code was ultimately a matter for members of the Dáil to decide for themselves. 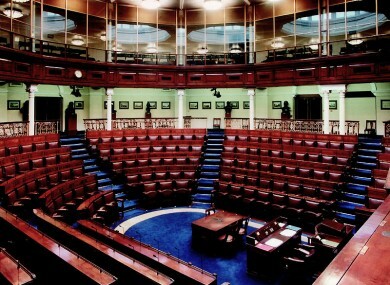 The Dáil today rises for its Christmas break, returning to public business on January 11. Email “Oireachtas receives ‘thousands’ of complaints over TDs' conduct in Dáil”. Feedback on “Oireachtas receives ‘thousands’ of complaints over TDs' conduct in Dáil”.